We get it - fidget spinner is an "in" thing now. But fidget spinner lip gloss? I really don't know about the idea. I'm sure this is one of the trend that will get mixed reaction. Now, tell me what you first think about when you hear about this? 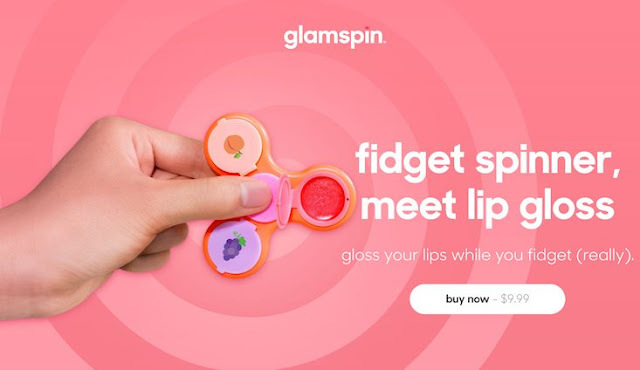 Whether you like it or not, by the time you're reading this, Glamspin has been selling hundreds (or thousands) of Fidget Spinner Lip Gloss. The fidget spinner comes with 3 different lip gloss flavour - peach, strawberry and grape. For the price of USD9.99, it isn't that expensive for a fun toy with a beauty purpose. 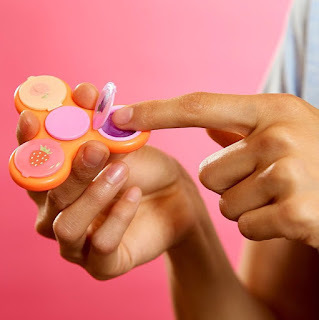 I'm sure this makes a good gift for teenage girls, especially those geeky ones who love fidget spinners. The product is scheduled to be shipped out in mid of July and interested buyers can now order it online on their website www.glamspin.com.